Wolf Commercial Real Estate (WCRE), the premier Southern New Jersey commercial real estate brokerage firm, is offering two units of prime South Jersey industrial space for sale at 1879 Old Cuthbert Road in Cherry Hill NJ. Unit 22 of this Cherry Hill flex building for sale has 1,600 square feet of space. This South Jersey warehouse space for sale is a fantastic flex storage unit. Features in this industrial space in 08034 include a large loft area, a kitchen, one bay door, two office suites with central air and a private bathroom. Unit 24 of this Cherry Hill industrial property for sale has 1,000 square feet of space available. This Southern New Jersey industrial space for sale also is an amazing flex storage unit, complete with a large office area, a private bathroom and one large bay door. The asking sale price for Unit 22 of this Cherry Hill warehouse space for sale is $85,000. The asking sale price for Unit 24 of this Cherry Hill flex building for sale is $75,000. Special pricing is available if both units of this South Jersey industrial property for sale are purchased at the same time. Both units in this Southern New Jersey industrial space for sale will be available for occupancy on May 1, 2013. 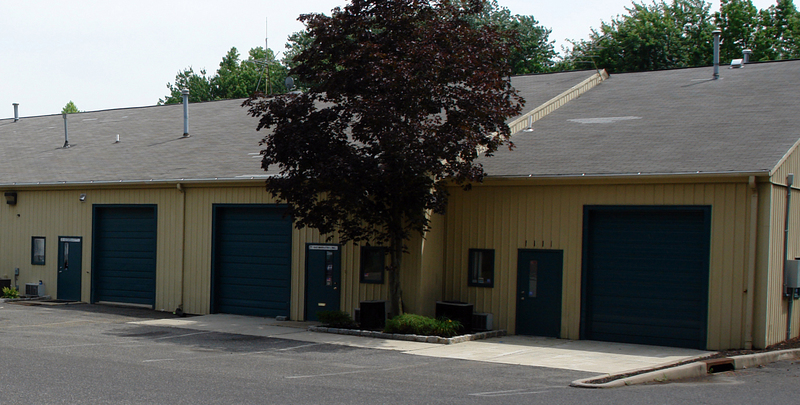 Parking is abundant (4.5/1000sf) at this South Jersey warehouse space for sale. This Cherry Hill industrial property for sale is located on the east side of Cherry Hill with easy access to Route 70 and Exit 34 of I-295. An average of nearly 80,000 vehicles a day drive by this South Jersey industrial property for sale at 1879 Old Cuthbert Road in Cherry Hill NJ and there are more than 81,000 residents living within a three-mile radius of this Cherry Hill warehouse space for sale. For more information about this South Jersey industrial space for sale at 1879 Old Cuthbert Road in Cherry Hill NJ, about other industrial space in 08034, or about any other South Jersey commercial real estate for sale or lease, please contact Jason Wolf (856-857-6301; jason.wolf@wolfcre.com), Christina Del Duca (856-857-6304; christina.delduca@wolfcre.com) or Scott Seligman (856-857-6305; scott.seligman@wolfcre.com) at Wolf Commercial Real Estate, the premier Southern New Jersey commercial real estate brokerage firm. Learn more about WCRE, a Southern New Jersey commercial real estate brokerage firm, online at www.wolfcre.com, on Twitter @WCRE1, LinkedIn and on Facebook at Wolf Commercial Real Estate, LLC. Visit our blog pages at: www.southjerseyofficespace.com, www.southjerseymedicalspace.com, www.southjerseyland.com, www.southjerseyretailspace.com, and www.southjerseyindustrialspace.com. WCRE (Wolf Commercial Real Estate), a South Jersey Commercial Real Estate Brokerage Firm, is now offering nearly 13,000 square feet of premier South Jersey industrial and flex office space for sale or lease in Cherry Hill. This Southern New Jersey industrial property for sale or lease at 1 Allison Drive Cherry Hill New Jersey Camden County 08003 has an asking price of $1.275 million or an asking lease rate of $10 per square foot NNN. This free-standing South Jersey industrial and office property has flexible space that can be used for offices, warehousing or a combination office-warehouse. This South Jersey industrial space for sale or lease is available for immediate occupancy. Parking is abundant at this Cherry Hill industrial property for sale or lease. This Cherry Hill office building for sale or lease is located along one of the main business corridors of Cherry Hill off Marlkress Road. There is excellent access from this Southern New Jersey industrial space to Route 70, Route 73, Interstate 295 and the New Jersey Turnpike, as well as to public transportation. This Cherry Hill warehouse space for sale or lease is well located directly across the street from the Cherry Hill Post Office. This highly visible Cherry Hill flex building for sale or lease is perfect for the owner-occupant seeking South Jersey warehouse space for sale or lease. An average of nearly 89,000 vehicles a day travel through the nearby major intersection of Marlkress Road and the Marlton Pike next to this South Jersey industrial property for sale or lease. There are more than 76,000 potential customers and employees living within a three-mile radius of 1 Allison Drive Cherry Hill, an ideal Southern New Jersey warehouse space for sale or lease. For more information about this Southern New Jersey industrial and flex office space for sale or lease at 1 Allison Drive in Cherry Hill New Jersey Camden County 08003 or about any other South Jersey commercial properties for sale or lease, please contact Jason Wolf (856-857-6301; jason.wolf@wolfcre.com), Leor Hemo (856-857-6302; leor.hemo@wolfcre.com) or Scott Seligman (856-857-6305; scott.seligman@wolfcre.com) at Wolf Commercial Real Estate, the premier Southern New Jersey and Philadelphia region Commercial Real Estate Brokerage and Advisory firm. As real estate brokerage and advisory experts in Southern New Jersey and the Philadelphia region, the team at our New Jersey commercial real estate brokerage firm provides ongoing detailed information to our clients and prospects to help them achieve their real estate goals. At WCRE, our Southern New Jersey commercial real estate services encompass the highest quality of service, proven expertise, and a total commitment to client-focused relationships. WCRE (Wolf Commercial Real Estate) reports that the South Jersey commercial real estate market exceeded several of its third quarter benchmarks, despite uncertainty caused by a natural disaster and other major news events. The latest quarterly analysis from WCRE, a premier South Jersey Industrial Real Estate Broker, found that while the third quarter was marked by caution, the fourth quarter market proved its resiliency. According to WCRE, the fourth quarter showed a significant uptick in both new deal activity and expansion in the market for South Jersey industrial properties and other South Jersey commercial properties. Several deals of significant size were completed, and Southern New Jersey industrial space and other Southern New Jersey commercial properties in prime locations performed better than the overall market vacancy rate. There were approximately 389,000 sf of notable South Jersey commercial property deals executed in the market, a nearly 25% increase over the third quarter. This includes new lease and expansion transactions of approximately 235,000 sf. Notably, expansions and new deals for Southern New Jersey industrial properties and other Southern New Jersey commercial space outpaced lease renewals this quarter. –New deals and expansion transactions of 235,000 sf for the fourth quarter was more than double the third quarter mark of 106,000 sf. — All of the the new major owners and REITS are showing a significant increase in deal activity and occupancy – both renewals and new deals – and are all cautiously optimistic. The report also anticipated challenges in 2013, with at least 250,000 sf of additional South Jersey industrial space and South Jersey commercial space vacancies expected to return to the market as Lockheed-Martin, Catalent Pharma, and others follow through on plans to downsize. But Wolf said that even this development could be positive, because large blocks of quality South Jersey office space and other South Jersey commercial space in excess of 30,000 sf have become scarce. For more information about South Jersey industrial space for sale or South Jersey industrial space for lease, please contact Jason Wolf (856-857-6301; jason.wolf@wolfcre.com), Leor Hemo (856-857-6302; leor.hemo@wolfcre.com) or Scott Seligman (856-857-6305; scott.seligman@wolfcre.com) at Wolf Commercial Real Estate, the premier Southern New Jersey and Philadelphia region Commercial Real Estate Brokerage and Advisory firm. As real estate brokerage and advisory experts in Southern New Jersey and the Philadelphia region, the team at our New Jersey commercial real estate brokerage firm provides ongoing detailed information to our clients and prospects to help them achieve their real estate goals. Learn more about WCRE, a Southern New Jersey Commercial Real Estate Brokerage Firm, online at www.wolfcre.com, on Twitter @WCRE1, and on Facebook at Wolf Commercial Real Estate, LLC. Visit our blog pages at www.southjerseyofficespace.com<http://www.southjerseyofficespace.com/>, www.southjerseymedicalspace.com<http://www.southjerseymedicalspace.com/>, www.southjerseyland.com<http://www.southjerseyland.com/>, www.southjerseyretailspace.com<http://www. southjerseyretailspace.com/> and www.southjerseyindustrialspace.com<http://www.southjerseyindustrialspace.com/>.